Editor's note: We continue our series of Florida Conference-supported missionaries' reflections on Christmas in foreign lands with a look at Japan. Next week: Christmas in Laos. That [Japanese saying for "Happy Christmas"] is a common thing you can hear at Christmas in Tokyo, Osaka, Okinawa and other parts of the Land of the Rising Sun, also known as Japan. It is an extremely festive part of the year for the Japanese. Illuminations, as they call light-up decorations, are done by many towns and cities throughout the country and have become a tourist attraction, usually running from the beginning of December to around Christmas Day. Starting in November, the 7-11 store begins to take orders for Christmas cakes and KFC will let you reserve a rotisserie chicken. And Christmas carols can be heard in department stores, supermarkets, shopping arcades and many other public buildings around the country. In the northern areas of Japan, Santa can visit on a snow sled, and he comes surfing down in the southernmost Okinawa. It is Christmas in Japan. But what is so strange about these phenomena is that less than 2 percent of the population claim to be Christians, according to the website www.japan-guide.com. While many people know about Christmas, many fewer people have any idea that Christmas is about the Incarnation, the birth of our Lord Jesus. So then you ask how is Christmas in Japan? The paradox of these two things makes for a thought-provoking time of the year. One thing is for sure: the Japanese enjoy celebrations. While their image as being hard-working, very polite and very dedicated is usually true, celebrations are times to let all of that go and enjoy life for a moment. As the New Year celebrations are right around the corner from Christmas, it is in general a good time for a celebration! So let the fun begin! The Asian Rural Institute celebrates Christmas with a pageant in 2011. The mission uses the season to introduce the true meaning of Christmas to people in a land where few are Christians. Photo from Jonathan McCurley. Our ministry at the Asian Rural Institute, and through Nasushiobara Church to the greater community, always seeks to use this time to share about the Lord Jesus and our faith in Him. At the Asian Rural Institute, it is a quiet time of the year. All of our students have returned home, the farm work is highly reduced because of the winter snow and only the staff and some brave volunteers remain to endure the winter. We always make Christmas a warm celebration. Having no work on Christmas Day, we usually come together in the evening for Christmas dinner and continue with our version of the Nativity story, Christmas carols, a gift exchange and a prayer. It is a way to ward off the homesickness of many of us missing our families and also a time to share about Jesus to many of the Japanese among us who are not Christians. The church also sees this time as a big opportunity to reach out to the local community. At Nasushiobara Church, we usually do a children`s program and invite local children to celebrate with us. We have a birthday cake for Jesus, games, Bible teaching and songs. The fact that I am from the U.S. piques interest, as many people are interested in learning how Americans celebrate the holiday. In many towns across the country, churches will come together across denominations for a Citizens Christmas. Here, a Christmas concert occurs with a message of the gospel and an offering for charity is usually taken up. It becomes a tradition not only for many of the churches but also many of the local people who are not necessarily Christian. 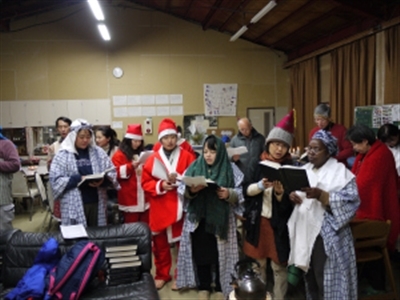 In general, Christmas is a time when many of the Japanese are open to coming to church, hearing some about Jesus, because again it is a time for celebration! Finally, Christmas is a time for us who are in missions to also think about its real meaning. Jesus, fully God and fully man, came into a world that saw him as a foreigner. He came to be with people and live with them where they were, doing with them what they did. This incarnation is exactly what we believe sums up the call of missions. We are called to come and be with the people, where they are, doing what they do and share with them about the one that created them, loves them and calls them into Salvation. So, as we celebrate Christmas here in Japan, we pray that you in Florida will be able to live into your call in the mission of God, becoming the incarnating presence of our Lord Jesus Christ. 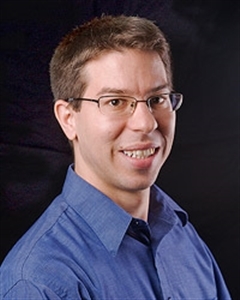 *Jonathan McCurley hails from the Orlando area and has been a missionary in northern Japan since 2009. He and his wife, Satomi, serve at the Asian Rural Institute, which trains rural leaders in sustainable, environmentally healthy agricultural practices and community development. Trainees are encouraged to share their knowledge in a Christian way with communities in Asia, Africa and the Pacific region. Jonathan is a candidate for elder's orders in the Florida Conference. For information about his mission and ways you can help, click here. To access his blog on the Florida Conference Global Missions site, click here.